Making the world a prettier place ~ One head of hair at a time! We’ve done a few fancier and more involved styles lately, and thought it was time for a nice quick and easy one today. 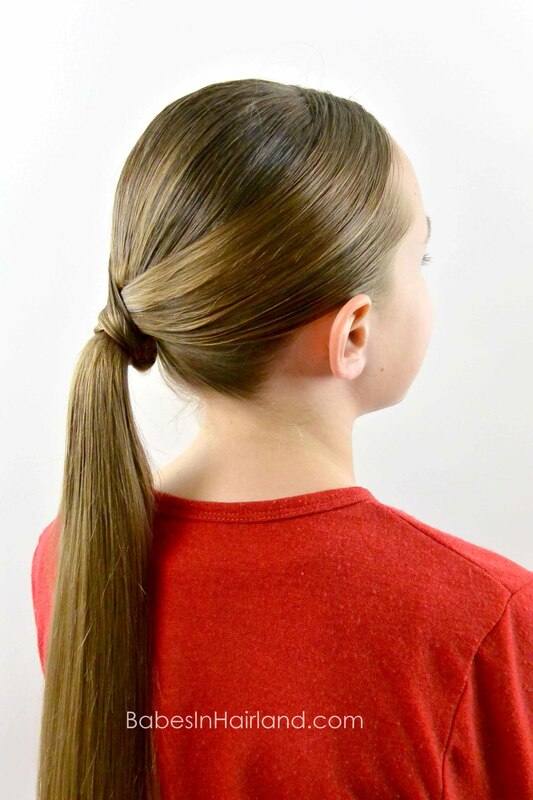 Regardless of your age – if you’re a ponytail fan, but are tired of a “plain old ponytail” you’ll love our tutorial today! 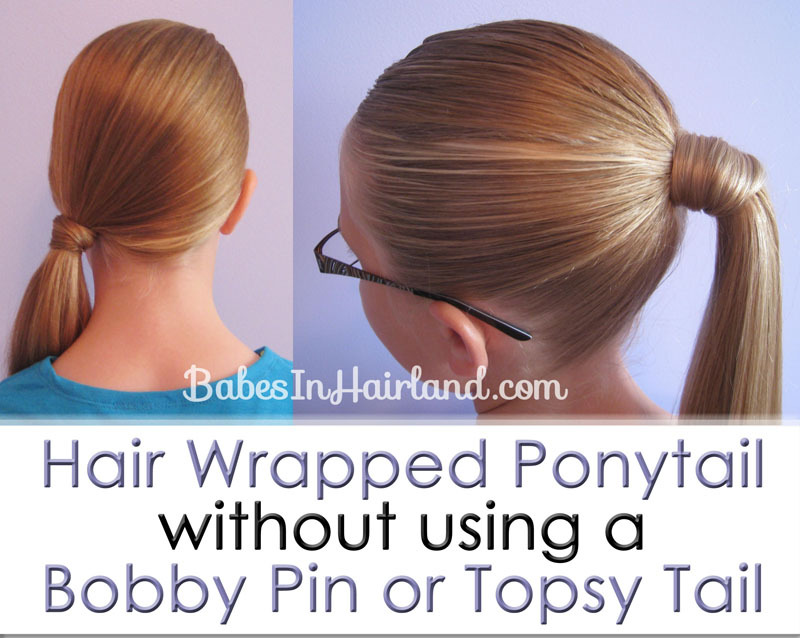 This is another great way to cover up your elastic, but is a little different than our tutorial we shared years back on how to wrap a ponytail. 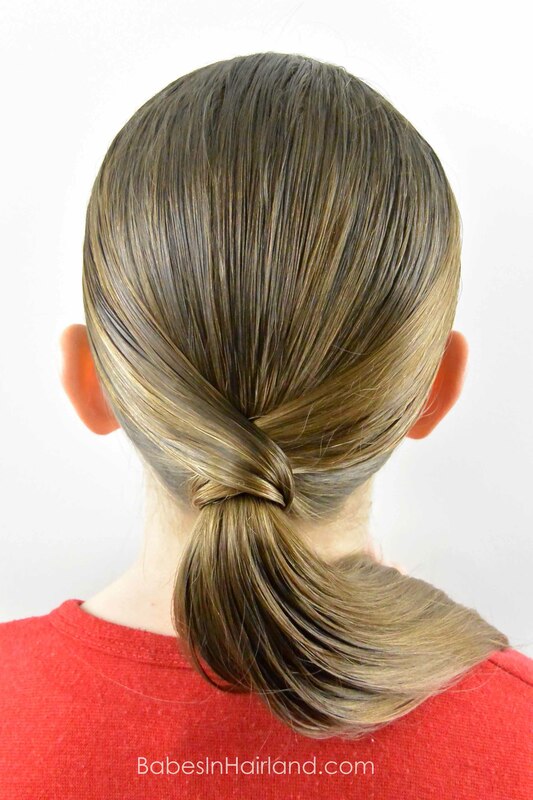 This is supposed to be a cool & sleek looking style, so you’ll want to be sure you’ve got a water bottle on hand, or some type of product to get things smooth. 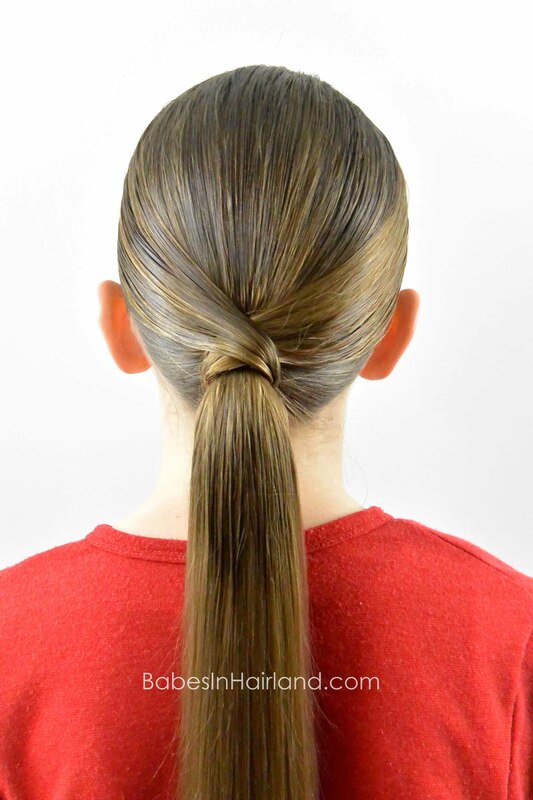 This is where you’ll want to be sure the hair is wet or product is in it so the hair lays smooth & looks sleek. Here’s a nice up-close image. 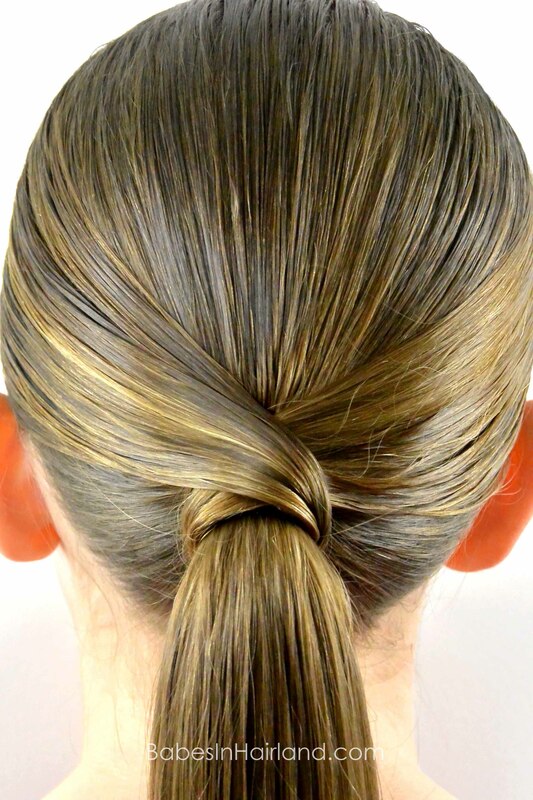 If you’ve got highlights or lighter hair, this looks even cooler. I love how some of her little gold highlights from summer are still hanging in there this winter! Hope you enjoy this one & be sure to pin it, and share it with your friends using the social media buttons below! 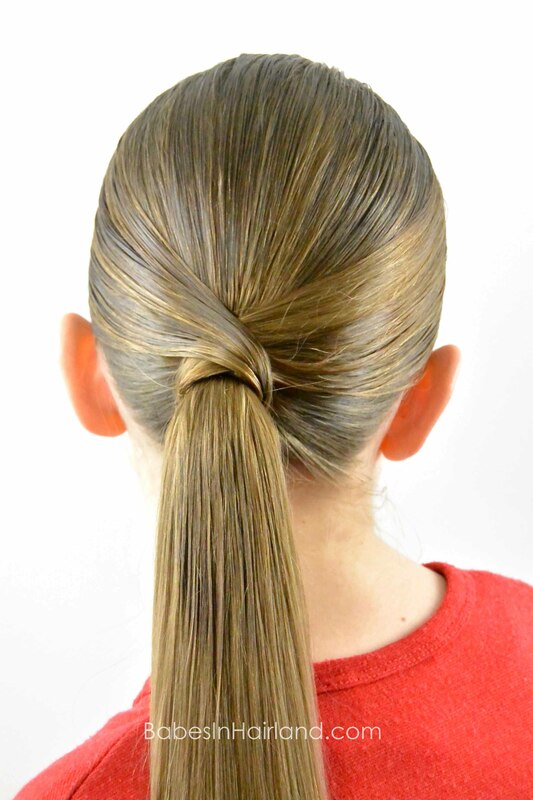 Be sure to check out all of our ponytail styles HERE! Wow! 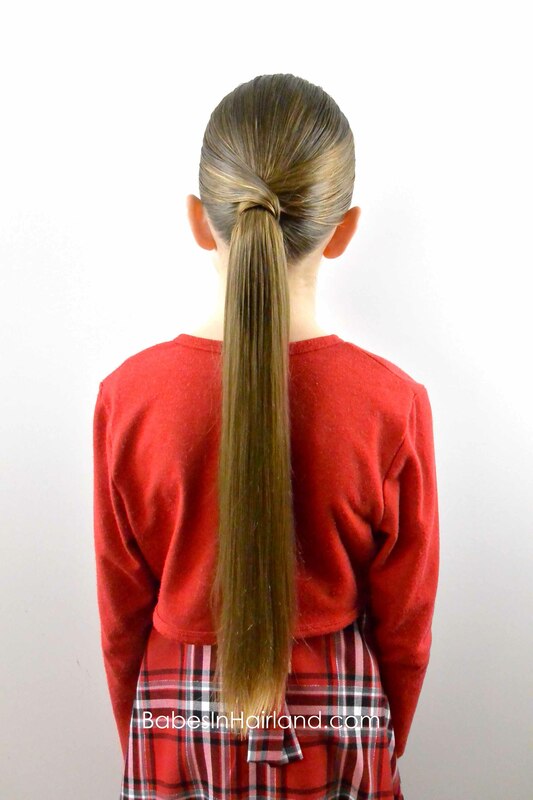 Her hair is so long! Hi! I'm Becky and welcome to Hairland! Some would say I'm obsessed with hair...I'm ok with that! 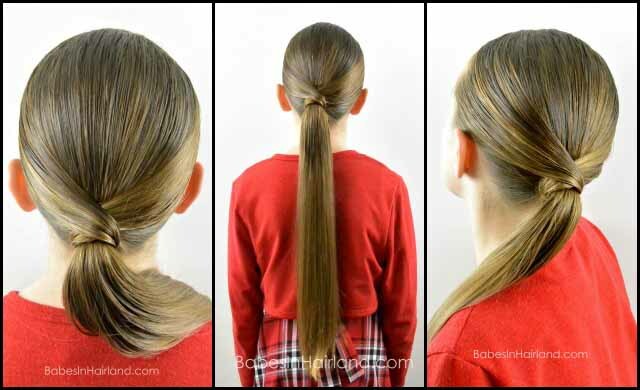 I have 3 beautiful daughters with amazing hair, and over the years doing their hair has become our bonding time. 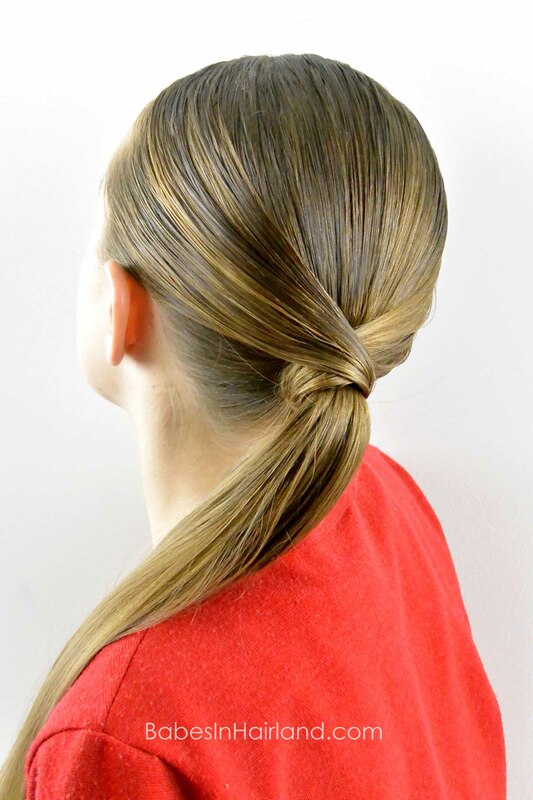 Whether you're doing your own hair, or someone else's hair, you're in the right place! So pull up a chair, grab a comb, and let's do some hair! "Making the world a prettier place ~ One head of hair at a time!"